The second son of Constantijn Huygens and Suzanna van Baerle, Christiaan was born in The Hague in 1629. Educated from home by his father and by tutors, he enrolled at the University of Leiden in 1645 to study mathematics and law where his teacher and sometime private tutor in the mathematical sciences was Frans van Schooten. Christiaan continued his legal studies at the Collegium Auriacum in Breda from 1647–9 before, in 1649, travelling to Denmark as a member of a diplomatic mission and, soon thereafter, visiting Rome. From 1654, he began to work on the construction of microscopes and telescopes. Numerous visits both to Paris and to London are recorded during the 1650s and 1660s. In 1666, Christiaan Huygens accepted an invitation from Colbert to become a salaried member of the new Académie Royale des Sciences in Paris. After his arrival in the French capital, he took up residence in the Bibliothèque de roi, where the Académie was also based. Illness caused him to leave Paris temporarily in 1670, but the following year he returned from Holland and, in 1672, met Leibniz; it was from Huygens that the young German philosopher learnt much of his mathematics. In subsequent years, Huygens worked closely on questions of the dynamics of bodies with men such as Papin and Tschirnhaus. In 1676 a further bout of illness caused him to leave Paris once more, but two years later he returned and in that same year his Traité de la lumiere — in which he argued for a wave theory of light — was published. Following continued periods of ill health in 1679 and 1681, Christiaan left Paris for good and the early 1680s saw him at work on a new marine clock. His father Constantijn died in 1687 and, with his brother already in England, Christiaan travelled to London in 1689 where he renewed his acquaintance with Boyle and met new figures in the Royal Society, including Isaac Newton. His final years were spent in The Hague, where he died on 8 July 1695 (N.S.). The Circulation of Knowledge project [CKCC] was established in 2008 as a partnership between the Descartes Centre at the University of Utrecht, the Koninklijke Bibliotheek (National Library of the Netherlands), the Huygens Institute for the History of the Netherlands (Huygens ING), the Data Archiving and Networked Services (DANS), and the University of Amsterdam (UvA). The project began by digitizing the metadata and curating existing full-text transcriptions of c.20,000 letters to or from nine prominent intellectuals resident in the seventeenth-century Dutch Republic. In 2013, this material was published as open access in a sophisticated web application — the ePistolarium — which provides scholars with multiple means of exploring and analysing both metadata and full texts across all nine correspondences. As well as conducting full-text searches, mapping and graphing the metadata, and extracting people mentioned, the ePistolarium is capable of interrogating the entire corpus to analyse and visualize co-citation networks, and produces the results of keyword extraction and experimental topic-modelling. CKCC’s 20,020 records represent the largest single dataset contributed to EMLO during the second phase of Cultures of Knowledge. The re-publication of these records within EMLO marks the inauguration of the rolling incorporation of major new catalogues which will continue into 2015 and beyond. As well as integrating CKCC’s metadata into an expansive union catalogue, EMLO’s records link back to the original letter texts published within the ePistolarium. The metadata and transcripts for Christiaan Huygens’ correspondence (edition: Oeuvres Complètes) were supplied to CKCC by Huygens ING under the supervision of Huib Zuidervaart. EMLO would like to thank Walter Ravenek for his careful preparation of CKCC metadata. Thanks are due to Culture of Knowledge’s editor Miranda Lewis, editorial assistant Mark Thakker, and first intern Charlotte Marique for their work on the people and place records associated with this correspondence. EMLO is grateful to Dr Philip Beeley for his help with the preparation of this introductory text. The metadata and texts for the transcriptions published in the ePistolarium were taken from Oeuvres complètes de Christiaan Huygens, ed. D. Bierens de Haan, Johannes Bosscha jr, D.J. Korteweg, A.A. Nijland, and J.A. Vollgraff (The Hague, 1888–1950). 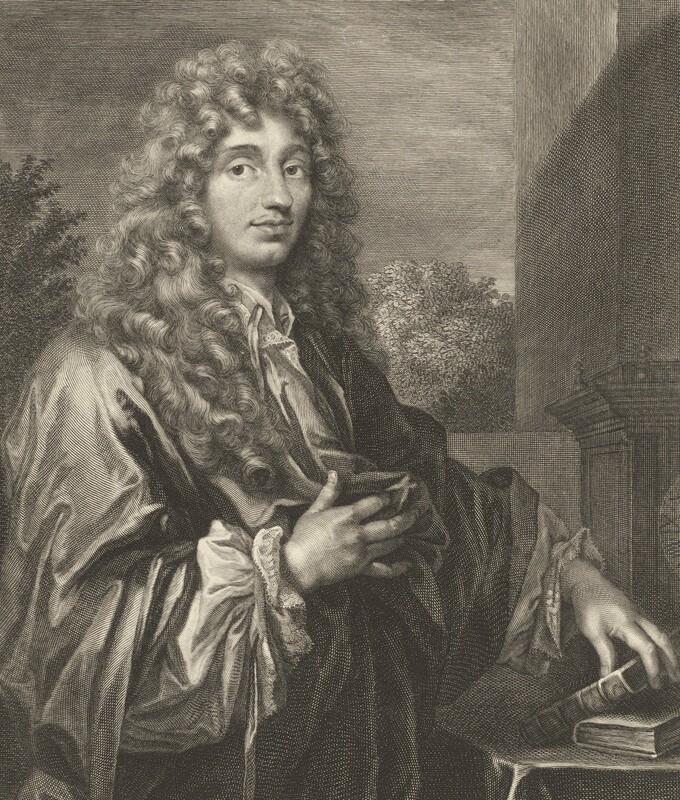 Christiaan Huygens’s work encompasses timekeeping, mechanics, optics, astronomy, natural philosophy, and optics and his large and extensive correspondence is testament to his wide-ranging interests, his study, and his extensive network across the early modern scientific community. His first publications concerned mathematical problems. In his Cyclometriae of 1651, he refuted the methods for squaring the circle proposed by Grégoire de Saint-Vincent; this theme was taken up again in De circuli magnitudine inventa (1654). After hearing of work on probabilities carried out by Blaise Pacal and Fermat, he produced a calculus of probabilities, printed under the title De ratiociniis in ludo aleae. This was the first book to be printed on the topic. Astronomical investigations using lenses he had ground himself led him to discover the rings of the planet Saturn; in 1659 he published his results in Systema Saturnium. For these investigations he required accurate timekeeping and, already in 1656, he was able to patent the first pendulum clock. His work on the pendulum was related closely to mathematical investigations on the cycloid, which in turn led to his development of pendulum clocks for use at sea. A culmination of his work in this field, his Horologium oscillatorium sive de motu pendulorum (1673) describes the theory of pendulum motion. Huygens also derived the law of centrifugal force for uniform circular motion, from which he — alongside Hooke, Halley, and Wren — was able to formulate the inverse-square law of gravitational attraction. Through his father’s contact with the Minim priest, Huygens began a correspondence with Mersenne while he was in Breda. When in Paris in the early 1660s he attended meetings of the scientific circle around Henri de Montmor, where he met Roberval, Carcavi, Pascal, Desargues, Petit, and Sorbière. In 1661 he visited London and was introduced to members of the emergent Royal Society including Wallis and Boyle, who was particularly impressed by his air-pump. He was elected Fellow of the Royal Society in 1663 and became a regular correspondent. Christiaan’s surviving correspondence numbers c.4,000 letters and the metadata provided to EMLO by CKCC for the 3,080 letters ranges from 1645, when he was a mere sixteen years old, to the month of his death in 1695. Transcriptions for these letters, linked to from EMLO, are hosted in the ePistolarium. The correspondence is conducted largely in French (63%) or Latin (25.9%), with just 7.8% in Dutch. Amongst his continental correspondents, Christiaan numbered Descartes, Kircher, Mersenne, Leibniz, Leuwenhoek, Caspar Schott, and Isaac Vossius, as well as a large number of early members of the English Royal Society. It should be noted in the dating of this correspondence, particularly in relation to some of the letters Christiaan received from English correspondents, that the Gregorian calendar has been used throughout. The ePistolarium has removed ten letters to avoid an overlap with their other catalogues, and the total gross number of their Christiaan Huygens transcriptions is 3,090 letters. Many of the origin and destination locations in this correspondence are still to be qualified as ‘inferred’. This work will be completed in the course of the coming months and, in the meantime, users are advised to consult the transcription itself for information on whether the origin and destination is stated or marked as inferred. Huygens, Christiaan, Oeuvres complètes de Christiaan Huygens, ed. D. Bierens de Haan, Johannes Bosscha jr, D.J. Korteweg, A.A. Nijland, and J.A. Vollgraff (The Hague, 1888–1950). Yoder, Joella, A Catalogue of the Manuscripts of Christiaan Huygens including a concordance with his Oeuvres Complètes (Leiden: Brill, 2013).